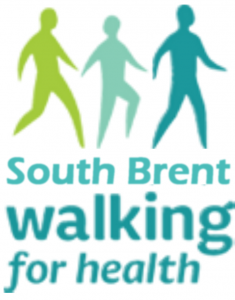 Almost every Wednesday at 10:30 a group of volunteer walking group leaders take a group of walkers on a Level 1 walk around Brent. The walks last between 30 minutes and 45 minutes and are gentle and as level as possible in and around the village. It is part of the wider Walk for Health organisation; more details can be found on their website here. Those who can and want more vigorous accompanied walks can look for the South Brent Level 3 walks here. This page on the SBADC website will host a copy of all the details needed for those who walk and those who volunteer. If you are interested in joining this small band of friendly walkers then please see Jane or Viv in the Caring Office, or simply turn up at around 10:15 on any Wednesday in the Old School. The walks start at 10:30 and last between 30 and 45 minutes depending on who’s walking and which route is chosen. All the routes are fairly level and around the village. You can walk unaided, with stick(s) or a walker, whatever suits you. The walk leaders will need a few details from you before you walk, but that registration will take only 10 minutes. If you would like to see some of the walk routes, then please click on Walk Routes. If you are a volunteer and you would like to work with the walk leaders rota, click on Rota or for access to the relevant resources pages, click on Walk Leader Resources.